In Chambord, enter a world out of the ordinary, permeated with mystery, thanks to the unique architecture imagined for the glory of François I, with the spirit of Leonardo da Vinci hovering over. Enter the universe of genius; come and discover the renowned double-helix staircase, and more than 4500 works of art in the refurbished apartments. The entrance ticket affords access to more than 60 rooms open to the public and to temporary exhibitions (according to the cultural program).. Chambord’s very particular layout around the double helix staircase means it would be hard for you to see everything in one visit. We recommend that you let you lead, see what you would like in the time that you have to spend as you make your way through different rooms and floors of the château. To give you an overview of the major events in the history of Chambord and its key architectural features, there is an 20 min. film translated into 4 languages (English, Italian, Spanish and German) that is shown continuously in one of the rooms on the ground floor. Panels are placed throughout the château to give historical information, explain the art work on display and provide an idea about what daily life was at that time. They provide a broad historical and architectural context for each room. A free visitor guide is available in 14 languages : French, English, German, Dutch, Polish, Hungarian, Romanian, Italian, Russian, Spanish, Portuguese, Chinese, Japanese, Korean, . A more detailed guidebook is available in 7 languages : French, English, German, Italian, Spanish, Russian, Chinese. It is sold at the ticket office and at the shop of the chateau for 7 euros. Price : 5 € for an adult / 3 € aged 5 to 17 years (in addition to the entrance fee). 12 languages are available : French, English, German, Dutch, Polish, Italian, Spanish, Portuguese, Chinese, Japanese, Russian, Korean. The HistoPad is suitable for use by persons with limited mobility. Access to commentaries and to reconstitutions in the rooms of the upper floors. Created for the glory of the king, developed by the most enlightened minds and the most skillful hands of its time, ever since the 16th century Chambord has aroused the admiration of visitors. Guide-lecturers facilitate discovery of its unique history and the emblematic aspects of its architecture. An initial approach to the history of the château. The guided tour essential to understanding Chambord. 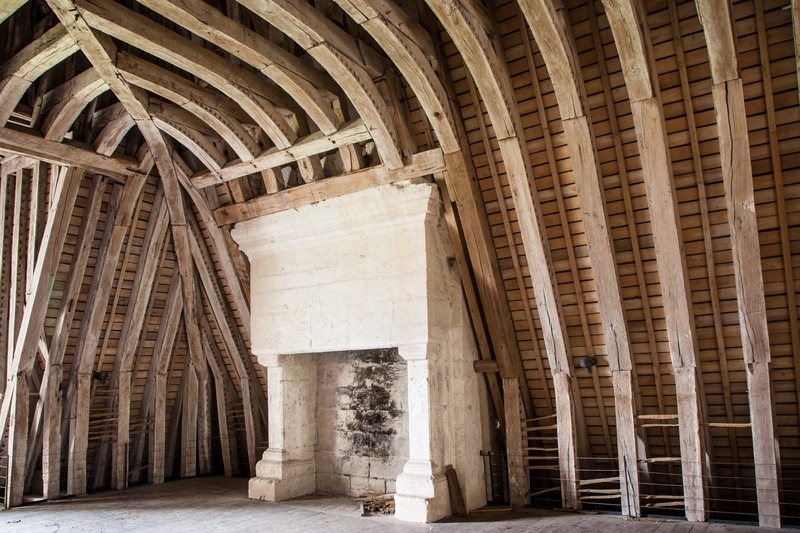 Provides access to areas closed to unguided visitors (château mezzanines and attics). The most exhaustive visit of the château. Provides access to areas closed to unguided visitors (mezzanines, attics and lantern tower). 3 hours. Groups limited to 18 persons. Weekends and bank holidays at 2 pm.